Judas Priest are living legends and among the forefathers of Metal, but nobody could have possibly predicted the level of success they are enjoying in 2018. 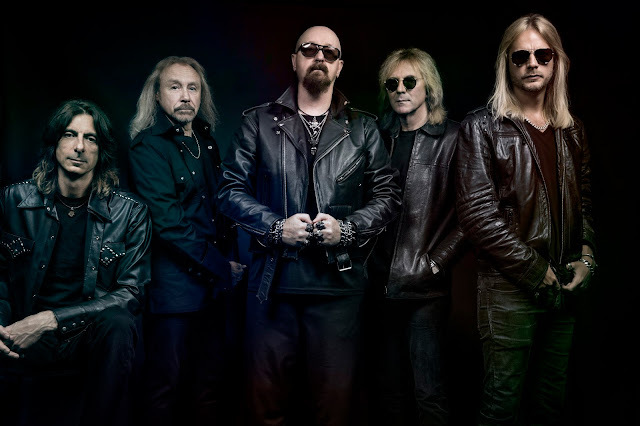 Armed with their best album in decades (Firepower – reviewed here), Priest are ringing in their 49th year in the game by hitting the road with fellow Metal stalwarts Saxon and former Thin Lizzy guitarist/fellow ’70s survivor Scott Gorham’s current group, Black Star Riders. Unfortunately, the jaunt had a dark cloud hanging above it long before it kicked off on March 13 in Wilkes-Barre, PA. First, long-serving guitarist Glenn Tipton announced that he would be walked away from touring due to an ongoing battle with Parkinson’s disease (with Firepower co-producer Andy Sneap stepping in to handle Tipton’s fretwork on stage.) Shortly thereafter (and despite the fact that he officially retired from the band nearly a decade ago), former six-stringer K.K. Downing took to the media to reveal that he was “shocked and stunned” that he was not asked to take over for Tipton on the road. While the absence of Priest’s classic guitar duo has led some diehards to skip the box office this time around, Firepower’s recent record-breaking chart success (#5 on the Billboard 200 as of this writing) proves that there remains plenty of love for a band that is still delivering the goods no matter who represents their impenetrable legacy on stage or on record. Kicking off their Worcester, MA set with the one-two punch of new tracks “Guardians” (used as a pre-recorded intro) and “Firepower,” Judas Priest proved from the very start that their current material is as strong as the iconic songs that built their career. Firepower tracks “Evil Never Dies” and “Lightning Strike” effortlessly blazed alongside staples of the Priest catalog (“Hell Bent For Leather,” “Painkiller”), while Sneap and Downing’s replacement, Richie Faulkner, carried the weight of the classic Priest twin-guitar attack with arresting ability. (Their performances on “Sinner” and “The Ripper” were particularly impressive.) Perhaps the evening’s greatest evidence of Priest’s enduring might and relevance was found in the scorching “Electric Eye,” a track bolstered by the near-deafening enthusiasm of a crowd singalong. Interestingly, another strong crowd-response moment came when the band broke out “Turbo Lover” off 1986’s Turbo. Although the album itself is arguably the most maligned release in the Judas Priest discography due to its glossy ’80s production and overt commercial leanings, last night’s live rendition of “Turbo Lover” was a looser, more sinister-sounding affair that caused the fist-pumping crowd to eagerly belt along to singer Rob Halford’s chorus. Of course, the greatest highlight of the night was when Tipton walked on stage for the encore to thunderous applause, strapped on his guitar and joined the band in blasting through the closing triple shot of “Metal Gods,” “Breaking The Law” and “Living After Midnight.” While Tipton’s physical movements were clearly affected by his condition, his playing was the sound of thunder. His hard-fought appearance on the Palladium stage – and the intensity he gave to every note - was the single most Metal thing this writer has ever witnessed. As the final notes rang out, the stage displayed a banner with five critical words: “The Priest Will Be Back.” Nearly 50 years after their formation, Judas Priest offer a live experience that leaves anyone in attendance anxious to see that promise come true.